Oregon football is having a down year, one the likes of Duck fans have not seen since 2004. College football is cyclical, competitive and a zero-sum game. So ‘down’ years, although tough to go through in present time, are going to happen. It is what a program learns and adapts to that make those downturns minimal. One program that has been immune to a down cycle the past 10 years is Alabama under Nick Saban. The easy “too long; didn’t read” answer is that Alabama recruits at an unprecedented talent level. But I wanted to find out if the Ducks could learn a few things about how Saban builds his roster through recruiting and see if the Ducks could apply it to their program. There are a lot of factors that go into recruiting and building a program – budgets, location and scheme, to name a few. To get some tangible results, I am going look past the obvious “recruit better players” – every program wants better players. Oregon is isolated geographically and it’s hard to pull consistent top five recruiting classes to the area, like other schools in higher population centers and the South. I thought it would be interesting to take a look at how Saban recruits both lines of scrimmage (LOS) compared to Oregon during that same 10-year span. My hypothesis is, before taking a look at the numbers, Saban would definitely have an advantage in higher quality (higher average rated players per 247 Sports), due to the fact that he has had a top five class for the past nine years, and six straight number one classes. Saban wins games by controlling both lines of scrimmage with physical linemen. He wants total command of the game through running the ball and talented defenses. Now, we know Oregon has a harder challenge to build a program this way due to geographical disadvantages, but what I found interesting, looking at Saban’s recruiting classes in total, is the sheer number of linemen on both sides of the ball he pulls in each year. So, I thought I’d compare Alabama’s 2007-2016 lineman classes to Oregon’s. Alabama recruits a lot of linemen on both sides of the ball every year. 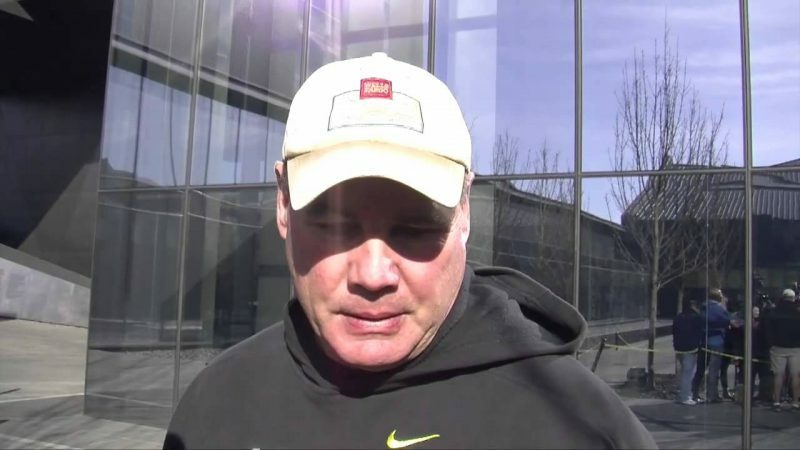 Having 1.5 extra OL/DL every year gives them six more linemen every four years than Oregon. Football is a numbers game: no matter how great an evaluator, you are going to miss on players. Having an extra 1.5 linemen gives them more margin for error in their evaluations of high school kids. It gives them more depth and it creates more competition. 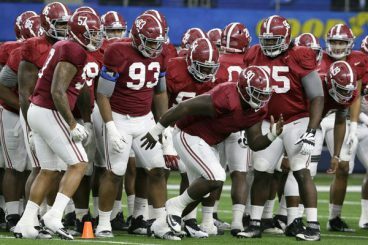 It rarely puts Alabama in situations where they are completely at the mercy of one class being the “lineman” class, like Oregon was this year offensively. If a coach starts four redshirt freshman, no matter how good, they will have a huge learning curve – especially if that many are starting for the first time. I think this is an interesting comparison since both (all) programs used five offensive linemen but both programs also ran base 3-4 defense. 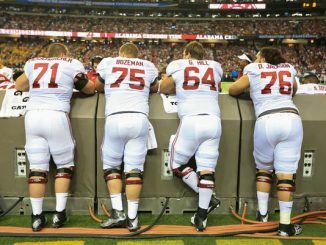 This shows how much Saban values depth on the defensive line. Alabama, for years, did not play at a fast tempo like Oregon did/does and still had more line depth defensively. 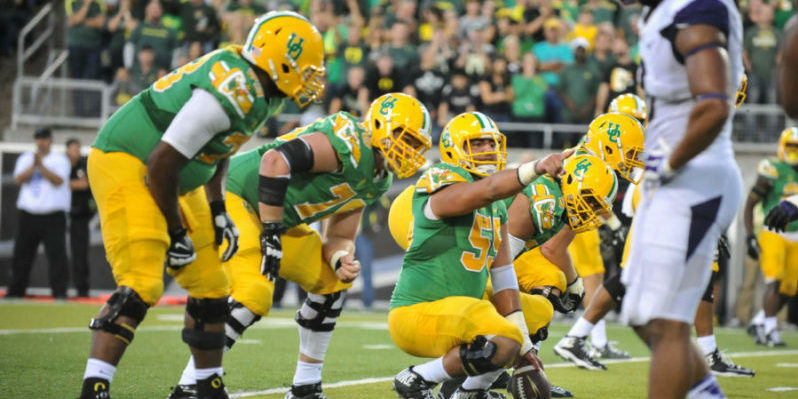 As much time as Oregon spends on the field defensively, I think they would want more defensive linemen. I can’t tell you, the reader, how much difference each point makes, but Oregon was closer in average ranking in both groups than I initially thought they would be. Overall, this is not a magic bullet. But I do think it is an underrated aspect of roster building and is easy to implement by signing a few extra linemen each year. The compounding effect over the years will provide stability, competition and depth in the trenches. All this without having to routinely sign the highly-coveted five-star lineman recruits, who Oregon do not have a lot of access to geographically.